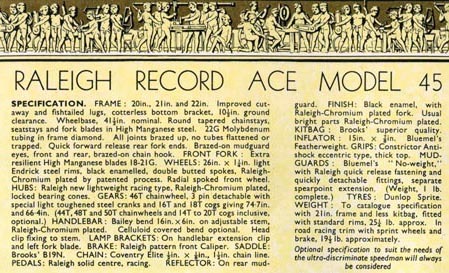 For the real enthusiast there is but one mount – the Raleigh Record Ace. 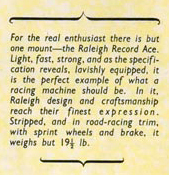 Light, fast, strong, and as the specification reveals, lavishly equipped, it is the perfect example of what a racing machine should be. 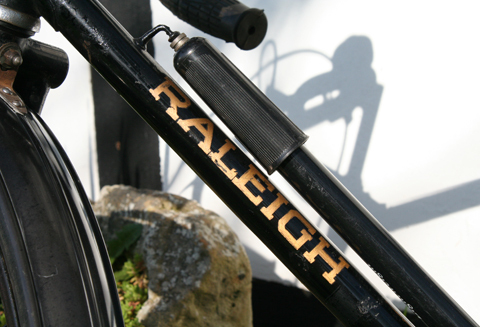 In it, Raleigh design and craftsmanship reach their finest expression. 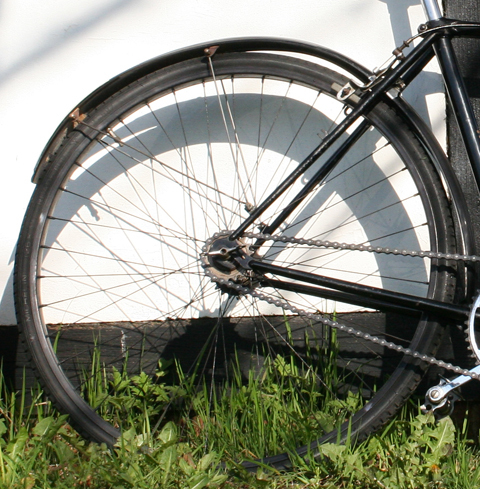 Stripped, and in road-racing trim, with sprint wheels and brake, it weighs but 19 1/2lbs. 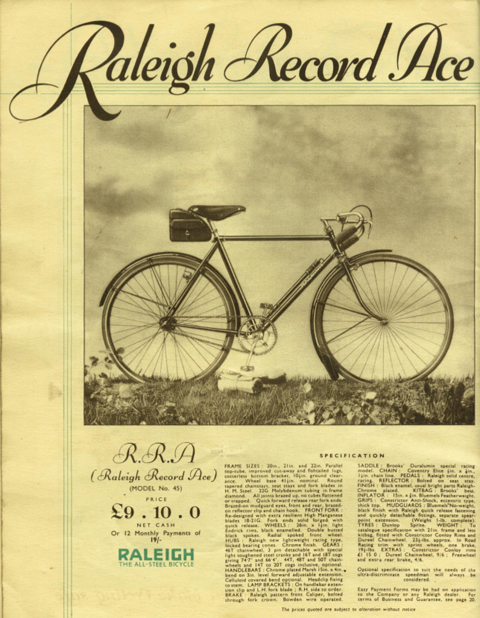 The pre-war Raleigh Record Ace is a historic bicycle. 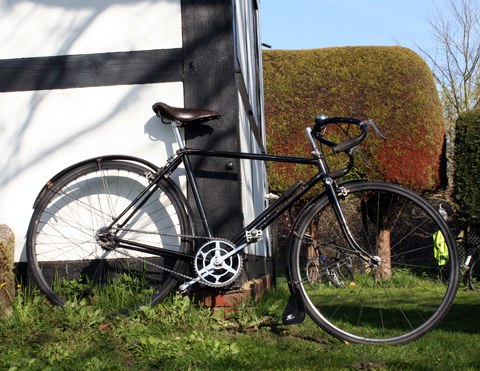 This model laid the foundation for the gaily-painted postwar RRA which became one of Raleigh’s most popular machines. 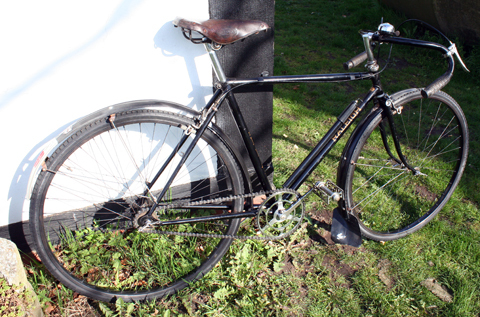 This particular one is in exceptional original condition, with its paintwork and transfers wonderfully preserved. 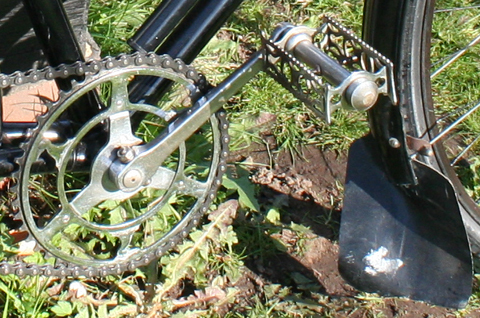 Small frames were favoured at the time for lightweight machines. 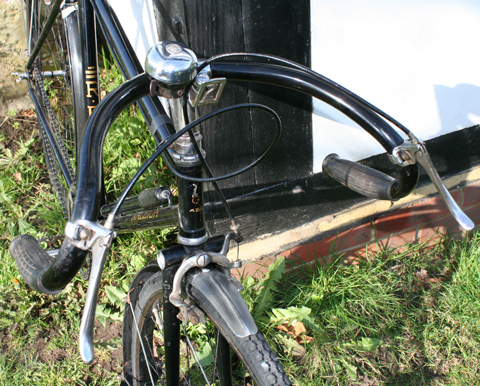 Though this is a 20 inch frame, it has forward-reach handlebars and a long seat-post. 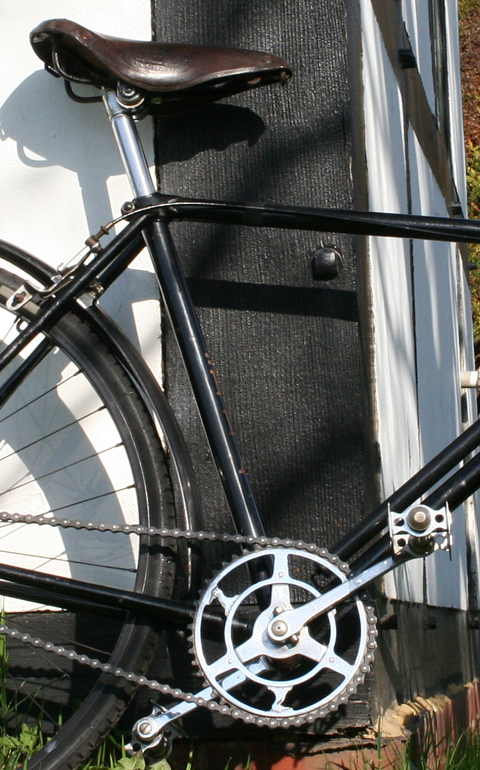 With the extra ‘reach’ it would be the equivalent of a postwar 22″ frame. 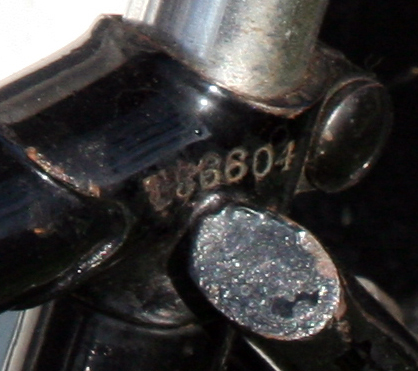 Unless you see it close-up, the Raleigh ‘Heron’ is not immediately apparent in the RRA’s original chainset. 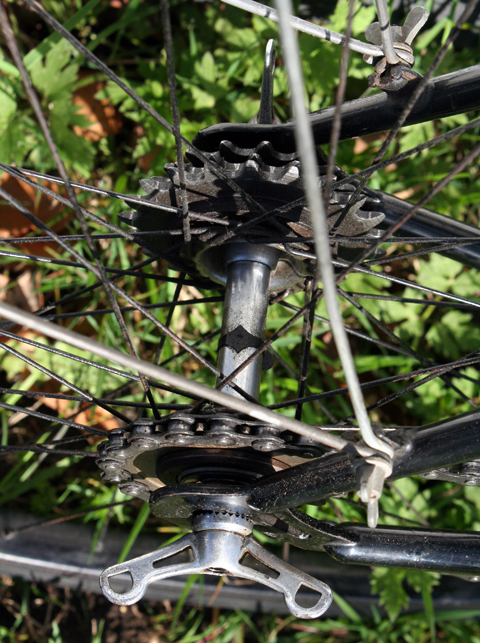 It is currently set up as a fixed wheel; to convert it to a freewheel, the rear wheel is reversed. 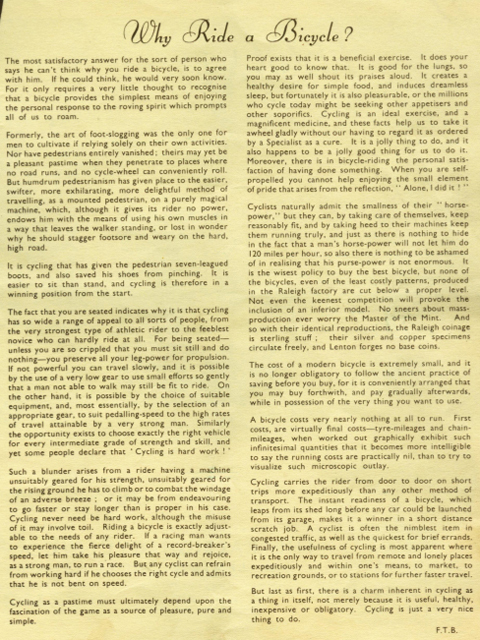 If any older vintage bicycle enthusiasts read these pages, they will no doubt have spotted that I’ve photographed this Record Ace leaning against the Send and Ripley History Society building. 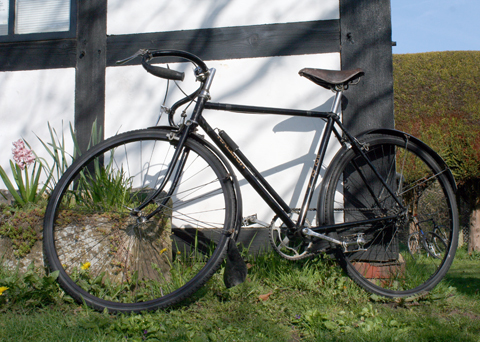 I bought this bike at one of the Riply Road cycle jumbles, situated in the Village Hall next to the museum. 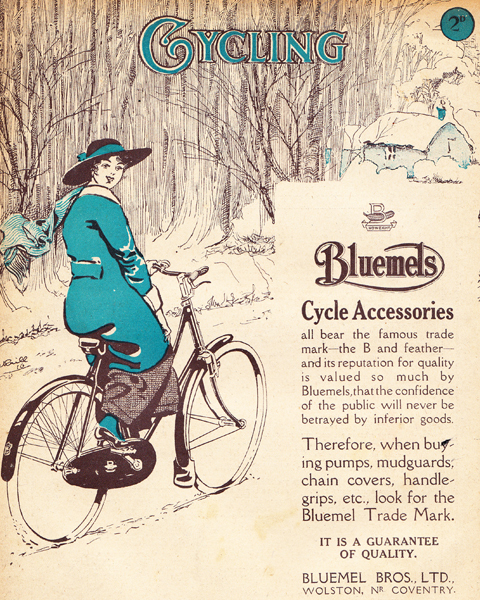 I thoroughly recommend these jumbles: they are not widely publicized so you’ll need to do a bit of googling to find out the date of the next one. (They are publicity shy because this location can not handle large crowds; so please park your car with due respect to the residential neighbourhood). Following the closure of Newark Priory, Ripley found fortune catering for the increasing number of travellers on the Portsmouth Road, which passed straight through the village. 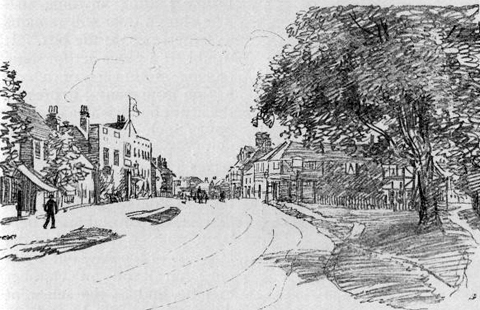 At one time the High Street was lined with numerous inns, pubs and beerhouses. 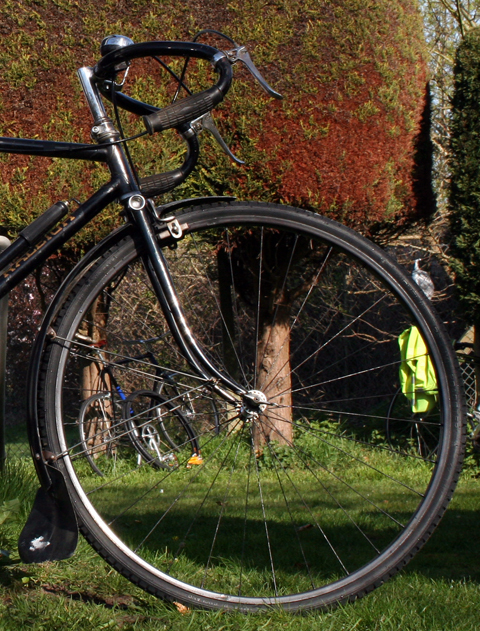 Many of these have now gone but the ‘Talbot’ and the ‘Anchor’ still give a taste of those great days of coaching. 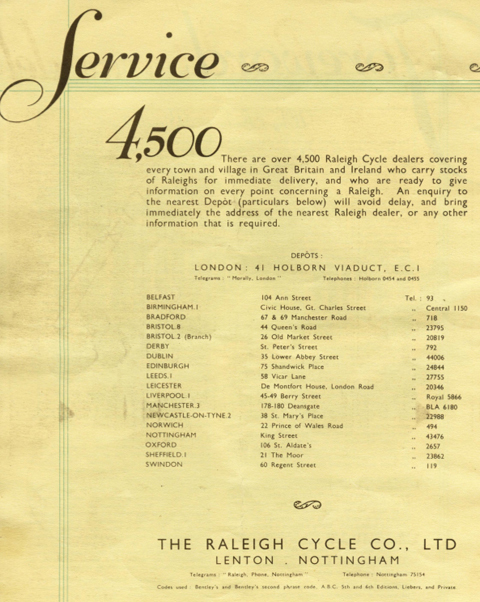 The coaching trade was, of course, killed off quickly once the railways had been built. 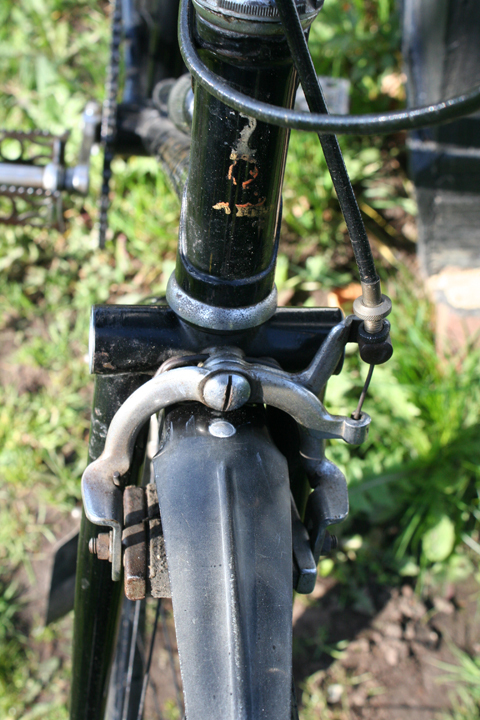 As a result Ripley passed through a ‘thin’ period during the mid-19th century. 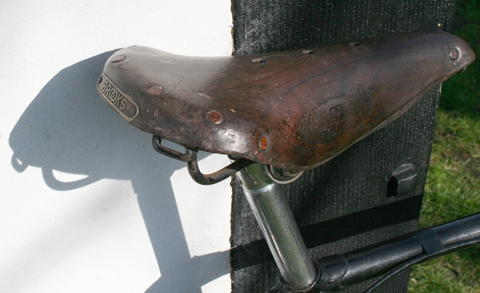 However, it was revived from the 1870s onwards by the growing interest in cycling, both for recreation and sport. 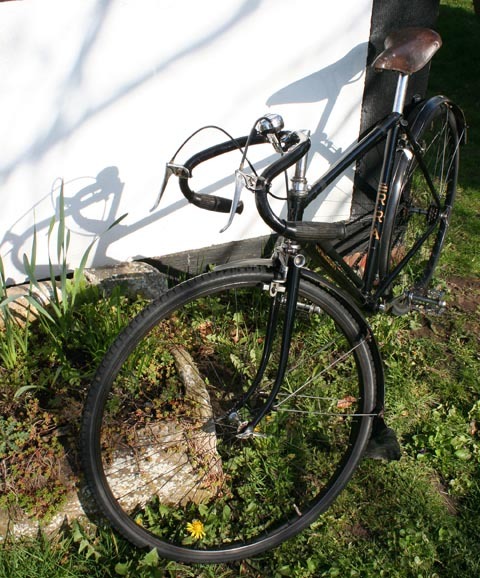 Following the invention of the modern ’safety’ bicycle in the 1880s Ripley developed as a weekend destination for Londoners, who had discovered the ‘freedom of the open road’. 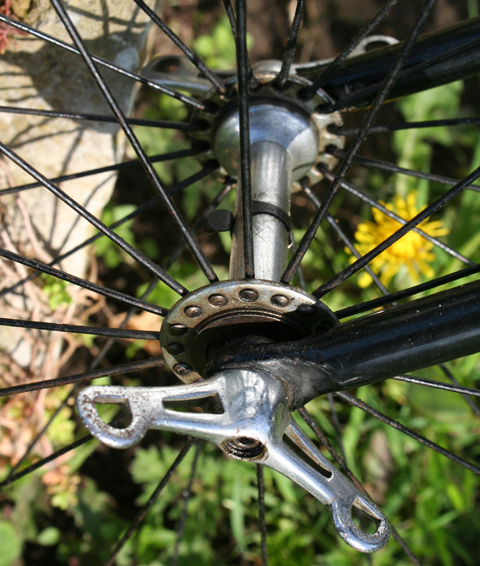 It became the most popular run from the capital and it is claimed that the number of cyclists arriving at Ripley could sometimes be counted in their thousands. 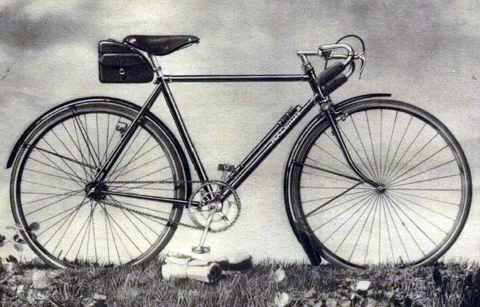 By 1910 the cyclists had a new rival on the road to Ripley – the automobile. 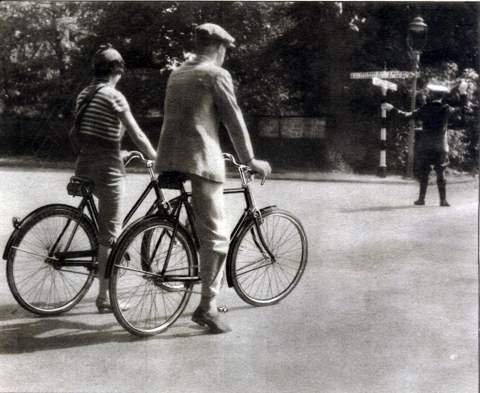 The motor car was eventually to oust all but the most daring cyclist from the Portsmouth Road. 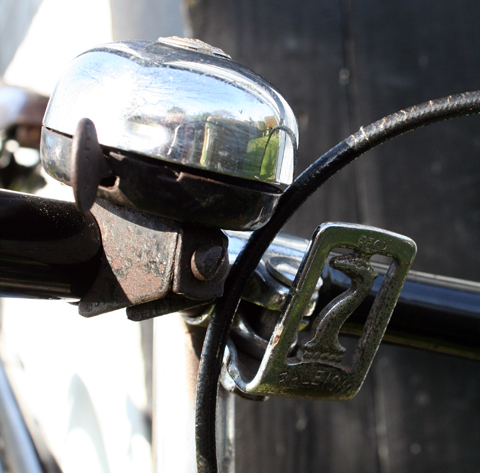 It also threatened to strangle Ripley, especially when the number of cars on the road began to increase dramatically from the late 1950s. 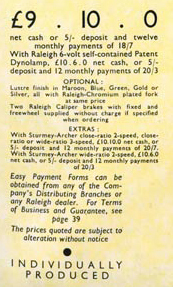 But a conflict can occur between adding a period headlight and preserving the display of an original lamp-holder. 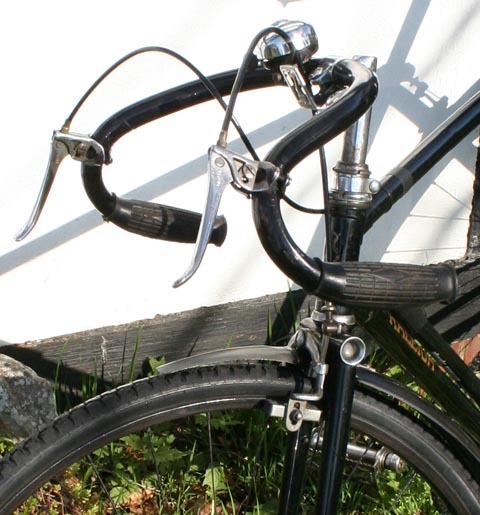 Observe the original RRA wing nuts on both wheels, and the front wheel’s distinctive radial spoking. 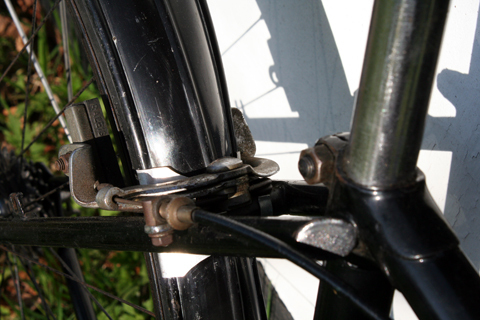 Front wheel wing nuts are traditionally turned down for riding at speed, to prevent the wind lifting them. 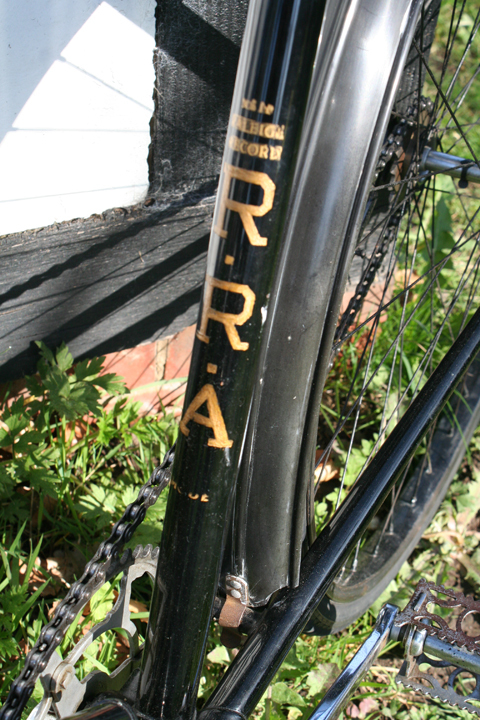 The Ripley road, for the two days in the week when it is most used, is a place to avoid. Yet it can be beautiful, and there is an approach to it hardly equalled near any other highway in the county. The late Mrs. Buxton, of Foxwarren Park, above Wisley Common, for years permitted the public to walk and drive through her private grounds away from the high road, and that generous lady’s permission has been continued by her successor. The carriage drive runs by oaks and bracken through which pheasants rustle, past a strange, tall column of black wood—a totem-pole brought from Queen Charlotte’s Islands; then it rises to the edge of a ridge overlooking a wide and level stretch of pinewood and heather. In August, when the ling is out with the bell-heather, and the pines stand deep in fern and rushes, no lovelier carpet spreads under any Surrey hill. The road runs a white thread through it—a road best viewed from afar. 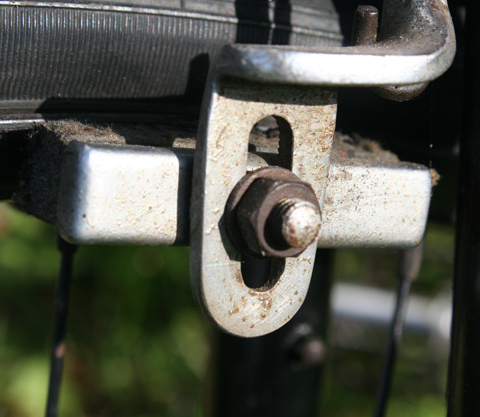 The weight of wheels has ground the surface to powder. Ripley itself, but for the traffic, would be the prettiest village on the road. A long string of low-roofed houses lines the highway; little white gabled cottages offer tea and refreshment; two old inns share most, I suppose, of the custom of fasting travellers. 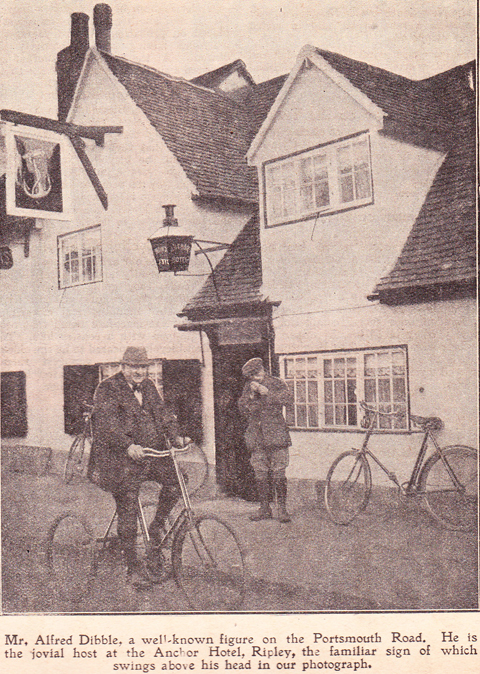 The Anchor, an inn of many gables, has fixed itself in the affections of bicyclists since the days when they rode velocipedes, and its black-beamed walls and passages[Pg 223] hold drawings of strange souls mounted on wheels which would have scared Ixion. The Talbot, which was once the Dog (but a talbot is a dog always), is a house of imposing squareness. You may see the dog painted above the door, a liver-and-white fox-terrier, all proper. Opposite the inns stretches Ripley green, a broad and shining level with many memories of Surrey cricket, and in particular of “Lumpy” Stevens, of Send. 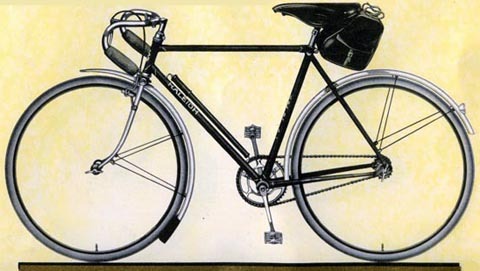 The motor-car has brought prosperity, even if it is a prosperity that can soil. But the tarnish washes off in night and rain. 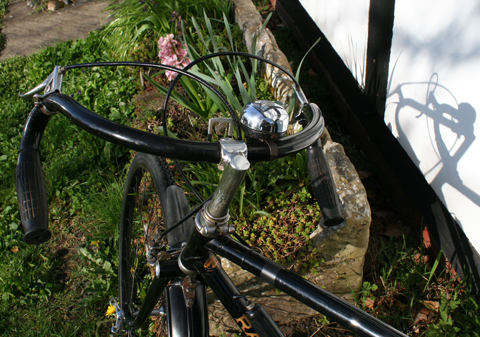 Ripley may look its best early on a Saturday morning, before the flood rushes down the road. When the little village lies clean and fresh in the sun, and the inns are busy with white tablecloths and cooking potatoes, and the children sit on the edge of the green before the dust comes, there is a sense of orderly bustle and of waiting for a day of hard work and good money that is pleasant enough. 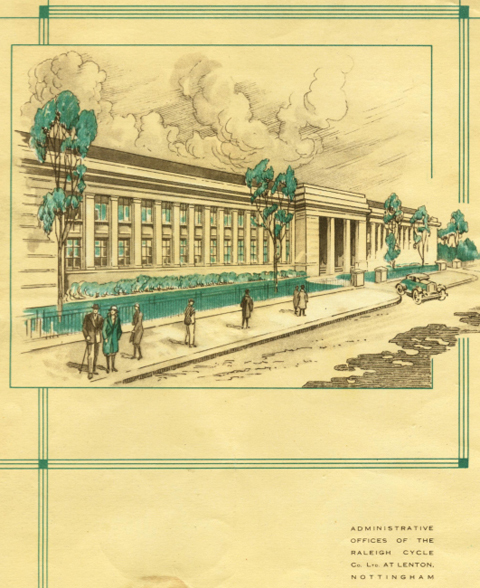 One building only has suffered from the business of the road. The little church stands behind arches and canopies of[Pg 224] clipped yew, its walls almost touching the highway. It is an interesting little building, though much altered from its oldest form; the chancel has the remains of clustered pillars, and a beautiful string-course of Caen stone running round it. But those have not been the only attractions to visitors. When I was there I noticed that the oak collection-box by the door stood with its lid propped open. The caretaker happened to be in the church, and I showed it to her. “Oh yes,” she said in a matter-of-fact tone, “we have to keep it like that. It has been robbed so often that we prop it open, so as to prevent people putting anything in.” The church door still remains as wide open as the box. It would be a pious act for some passing motor-car—or a collection from many—to present the little church with a stronger box. Such continued hospitality, so vilely abused, deserves a return. 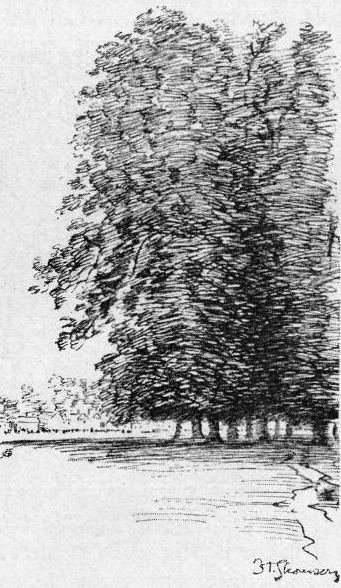 Trees on the Green, Ripley. Two miles up the road lies the Hut Pond, opposite an inn that serves many tables. There is no quiet on the pond in the business of the day, but I was once on it on an October evening, and as the sun went down the sky filled suddenly with teal. Bunches of teal wheeled and circled in the cold twilight, whizzed down among the rushes, darted up again and round over the pines, then shot down again and settled, splashing quietly in the sedge. 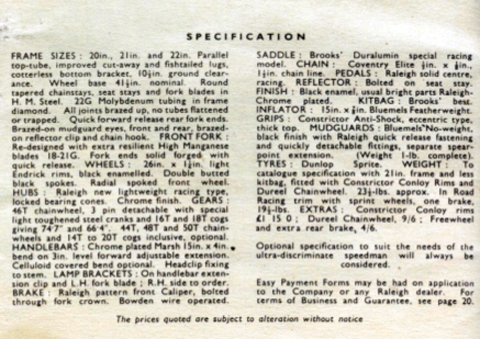 Here’s a 1935 catalogue picture. 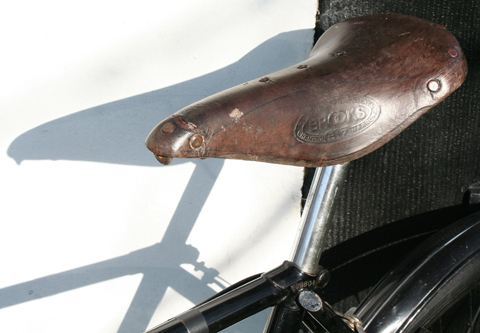 The saddle is the original Brooks B17 Champion Narrow model. Buy it! Buy it now! No, really! These are spectacular! 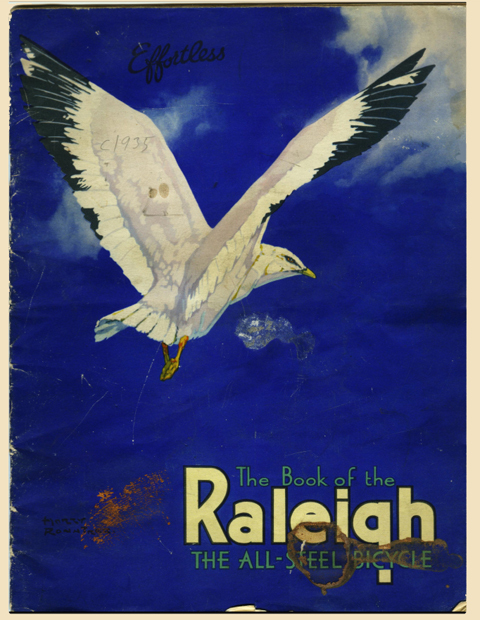 The very finest ever to come out of Raleigh! 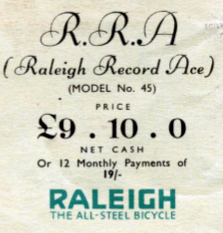 I have two R.R.A.’s Raleigh Record Ace machines. I fly on mine, it’s an incredible experience! I have had ruthless and rough collector types come around. I had to sternly say No! 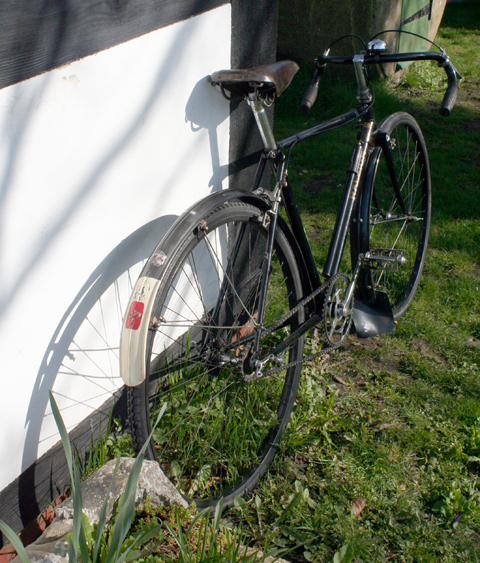 It is not for sale. I’ll die and be buried with mine they’ll lay me down and instead of a sword across my chest like a Viking warrior I’ll be holding the bikes! They’ll dig me up to get them! 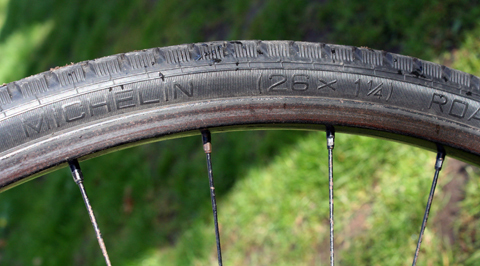 Tyres are 26 x 1 1/4.